It was a cover gift with an issue of CrossStitcher magazine, in 2016 I think. I'm not sure what I'll do with it, possibly add a ribbon loop and hang it on a drawer handle. A finish is a finish and that is a cute one. It's still in my to do pile. Very cute! Congrats on the finish. 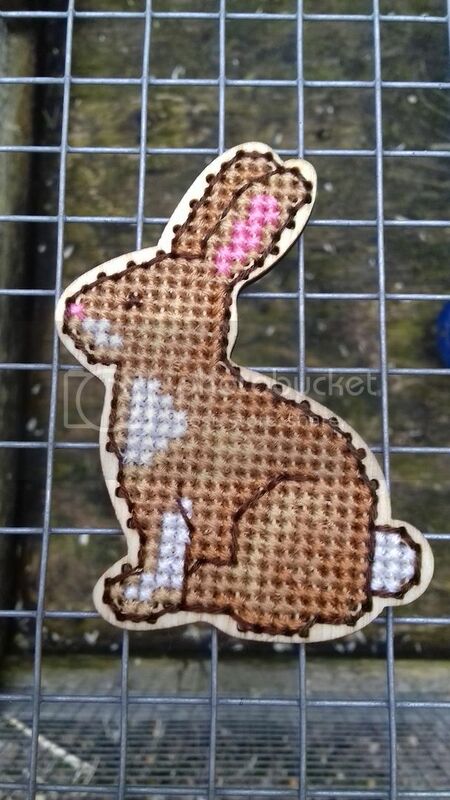 A very perky looking bunny - and even if it is a small finish, it is still a finish! Is it very small? You can put a strong magnet at the back and turn it into a needle minder :) It's nice and flat to park multiple needles on it. What a cute little finish! Maybe you could make him onto a scissor keep? Cute! And a finish is a finish, whatever the size!! Yay, starting is the most difficult! That is a cute bun though :).